● Join Colorful Images’ Smart Buy Savings Club so you can save 10% on every order. The Silver Card’s annual fee is only $9.99 and the Gold Card annual fee is $14.99. Other features of the silver card are free personalized address labels, free holiday envelope seals while the gold card’s extra offers are premium holiday gifts, member-only coupons, and sales previews. 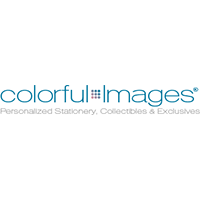 ● Colorful Images usually offers limited-time deals which can let you get additional cards, bill paying organizers, and more at discounted rates, such as its “Buy One, Get One 50% Off” promo on all address labels, specialty labels, and seals. ● Sign up for Colorful Images’ mailing list so you can receive exclusive email promotions. At Colorful Images, you can purchase a diverse range of personalized stationary products, in addition to a number of other items. You can use this website to search for and purchase address labels, labels, checks, stationary and cards, home office products, products designed for the home, items for specific holidays and occasions, and much more. A range of gifts are also available, including personalized gifts for her, personalized gifts for him, personalized gifts for kids, personalized name poems, and personalized items for various rooms of the house. The website for Colorful Images also offers visitors the opportunity to join their SmartBuy Savings Club. Seasonal items are also available for purchase. For most up to date offers check out Colorful Images on Facebook and Twitter or contact Colorful Images Support for any questions.